The Department of Defence gave a presentation on the decline of the capabilities of the defence force, including issues of transformation, integration, equity and morale. During the course of the presentation, the Department made reference to both the 1998 and the 2014 Defence Reviews. The Chief of Military Policy, Strategy and Planning for the Department of Defence, gave the presentation and put it into historical context by outlining the increased involvement of the SANDF, since 1999, in what were regarded as secondary functions of the military, such as peace support operations in other countries. He pointed out that there had been no special budgetary arrangements for these secondary functions and that, in real terms, the budget for the Defence Force had been cut by 50% in the past five years, which had led to a decline in its capabilities. There had been a decline in training capabilities and in medical supplies. With regard to transformation, there were currently 19.5% female officers in the sharp end, whereas previously there had been none, and there were also 26% females in other ranks, occupying critical musterings. The Department expressed frustration at the fact that the Military Discipline Bill, which was drafted to provide commanders with the ability to discipline soldiers without having to refer matters to the military courts, had been with the state law advisors for over a year. The Department would not, however, discuss issues of military intelligence before the Committee. The Committee members expressed concern about the reluctance of the Department to discuss intelligence issues; the wasted and fruitless expenditure of the Department and the oversupply of senior ranking officers; the lack of transformation; the delay in finalising the Military Discipline Bill; and the possible implications of the budget with regard to the military's ability to carry out its primary functions. R720 million had to be cut in order to meet Treasury's requirements. The Chief of the South African Army and Acting Chief of the South African National Defence Force (SANDF) said that military command shared the view of the 2014 Defence Review that there had been a decline in the military's capabilities. The military was not where it wanted to be, especially in safeguarding the country's borders. He noted that the National Development Plan had prioritised socio-economic issues over defence and had not taken the Defence Review and its requirements into account. The Chairperson, Mr M Motimele (ANC) introduced his co-chair, Mr E Mlambo (ANC), welcomed all the members and delegates of the Department of Defence, saying that the presentation should be in the context of the 2014 Defence Review and that the Committee would listen to their concerns. Lt Gen Vusumuzi Ramakala Masondo, Chief of the South African Army and Acting Chief of the SANDF, said that the Department welcomes the opportunity to interact with the committee and to account for what the Department does, based on the fact that it regards itself as a Defence Force that represents the people of South Africa. Lt Gen Madonso started by indicating that the agenda that was received from the Committee indicated that the Department was going to interact with the Committee on the basis of the Defence Review, addressing issues of decline in defence capabilities and giving a strategic overview covering transformation, integration, equity and morale, but that the Department had received additional requirements the day before and that, within the constraints of the time available, the Department hoped that the presentation would cover the necessary areas. Lt Gen Masondo also tendered an apology on behalf of General Solly Zacharia Shoke, the Chief of the SANDF, in that he was unable to attend due to a prior engagement. Lt Gen Masondo said that the Department had been asked to touch on intelligence and that, prior to coming to Parliament, he had had an interaction with the Chief of Intelligence, with whom he had shared a concern about the fact that intelligence matters are sensitive and it was preferred that they be handled by the Joint Standing Committee on Intelligence. Therefore, the Department would not be covering intelligence as per the Committee's requirements. The Department would attempt to answer all the questions of the Committee; however, some of the issues were classified and secret within the defence force, and on those issues, the Department would not be able to give adequate answers and would request an opportunity for a closed session where it could give comprehensive answers. Having given his opening remarks, Lt Gen Masondo formally introduced himself and his delegation, which included the chiefs of the South African Air Force, the South African Navy, and the South African Military Health Service. 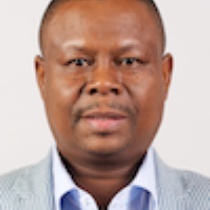 Mr M Motimele (ANC) reminded Lt Gen Masondo that the purpose of the meeting was linked to the processing of the 2014 Defence Review, a document that is in the public domain already, and that the Committee expected him to tell the Committee about his recommendations and challenges that the Department was facing so that the Committee could process the document in line with everyone’s expectations. Maj Gen Michael Ramantswana, Chief of Military Policy, Strategy and Planning, gave the presentation. He said that the aim of the presentation was to provide a strategic overview and to show the areas of decline of the SANDF. The Department thought that it needed to highlight the historical context that led to the current state of affairs. It needed to talk about the areas in which there is decline without going into the details. Most of these areas would be classified. The areas covered by the presentation were as follows: the constitutional mandate of the SANDF, its organisation and programmes, historical perspectives, budget allocation, decline in capabilities, human resource challenges, combat readiness, transformation and equity, and the Defence Review for 2014. The Defence Force derived its mandate from the Constitution, which stated that the primary object is to defend and protect the republic. Both the Defence Reviews for 1998 and 2014 place emphasis on this mandate, and go on to say that any other function is secondary. The difference between the reviews was that the previous review did not propose the structuring of the secondary functions of the Defence Force, while the 2014 proposes goals which talk to secondary functions. The 2014 review also made a value proposition with regard to secondary functions, such as peace support operations, disaster relief, humanitarian assistance, search and rescue, and so on. This was a fundamental difference between the two Defence Reviews when it came to defining the Defence Force’s mandate. The 2014 review also stated that the Defence Force must be structured and managed as a disciplined military force. Maj Gen Ramantswana presented the macro-organisational structure of the SANDF, beginning at the Ministry of Defence. The 2014 Defence Review proposed that there was a need for a Chief of Staff and there should be a clear demarcation between command and staff functions. At the lebvel of the Chief of the SANDF, there were probably going to be changes in the way that this area is organised. Maj Gen Ramantswana then went through the programmes of the organisation. The Defence Force did not foresee any changes in terms of Programme 1: Administration, which was an area where there were no problems. With regard to Programme 2: Force Employment, the Defence Review made a number of proposals – in this area, it suggested a general staff function in Level 1, assisting the Chief of the SANDF, and that the Department would need an operational-level head. This reiterated the point that there must be a clear demarcation between issues of command and staff. In the area of Programme 3: Landward Defence, some restructuring was foreseen and that in this area, the Department might return to what is known as Brigades and Divisions. However, this was the subject of planning. This related to Milestone 4 of the Defence Review, which was be able to wage limited war. In the areas of Programme 4: Air Defence and Programme 5: Maritime Defence, the Defence Review said the same thing, which was to organise capabilities so as to be able to defend our space effectively, and organising such capabilities in terms of a doctrinal approach. With regard to Programme 6: Military Health Support, the review also spoke about organising those capabilities into battalions. Maj Gen Ramantswana felt that, in light of Lt Gen Masondo’s opening remarks, he had to skip over Programme 7: Defence Intelligence. Coming to Programme 8: General Support, it was necessary to give a historical perspective, starting from the 1998 Defence Review, which laid an emphasis on defence in a democracy. That meant that the seven forces were now a unified organisation in a different environment. There was now a Defence Force that must safeguard the interests of all South Africans and subject itself to civil control and oversight. The Department needed to maintain a defensive posture, which meant that it would be strategically defensive and operationally offensive. It highlighted the primary mandate, but emphasised the so-called “core force” approach which was more like a peacetime structure. The Defence Review for 2014, with its four core goals, did not propose a peacetime approach, it is proposed a force that would be able to wage limited war. Most of the non-military tasks were very clear in the Interim Constitution of 1993, and were seen to be secondary, but what was interesting about that was that the Defence Force was more involved in secondary functions, which were envisaged as secondary by the Defence Review of 1998. It proposed four Force Design options, the first of which was to have a Force Design of 22 000 Regular Force members and 70 000 Reserve Force members, with a R5 billion budget. The 22 000 figure only referred to combat units. Option 2, which was to have a Force Design of 36 000 Regular Force members and 98 000 Reserve Force members and a budget of R6 billion, was the one that the military would have preferred, but Option 1 was recommended. Options 3 and 4 were not even considered at all. It was from this point that the Defence Force budget funding focused on Option 1 of the 1998 Review. It followed a narrow approach to defence. It was focused on defending against aggression, and that the Defence Force would not be structured for the secondary functions with which the Defence Force has been busy until today. The R5 billion was meant only for the maintenance, development and preparation of a peacetime force. There were no special budgetary arrangements for secondary functions. There was funding, but it was far below what was requested. The SANDF was to be involved, in time, in marginal peacetime operations, involving one battalion. The Defence Force has gone beyond that, by far. It went on to say that internal operations were undesirable. He emphasised that, in terms of the 1998 Review, the participation of the SANDF in peace support operations was a secondary function, and thus that the SANDF would not create special structures for such operations but would provide for them within the primary structure, which in this case was the 22 000 in the Force Design. It went on to say that there was no conventional military threat against the RSA and that the RSA had no aggressive intentions against anyone, which was correct at that time. A peacetime force based on a threat independent approach was what was envisaged. Maj Gen Ramantswana then took the Committee through what had happened since then, operationally. In 1999, the SANDF landed in Lesotho and was deployed in Burundi, which happened far earlier than was anticipated. Later, in 2003, the SANDF found itself in the Democratic Republic of the Congo (DRC) and Sudan. The latter two missions had changed from Chapter 6 to Chapter 7 missions, which are different. In Chapter 7 missions, in some cases, heavy firepower and intelligence were needed. There was a change of scenario. The SANDF handed over its borderline responsibilities to the South African Police Service (SAPS) and had began to position itself in multinational institutions such as the African Union (AU). It also began to position defence attachés abroad. Given budget constraints that resulted from the 1998 Review, it closed down a few units in the army, air force, health services, and the navy. There was a point where Strategic Defence Packages (SDPs) including frigates, submarines and aircraft, had been commissioned without concomitant allocation for operationalisation and support. Since South Africa had positioned itself in various multinational institutions, there was now pressure on South Africa to be able to participate in all the activities of the continent and the world. Pressure increased for the SANDF to be able to participate as well, which was nevertheless good for the country. With regard to assistance for military operations, there had been examples recently in the Central African Republic and current involvement in the DRC. The SANDF is also involved in training in other countries. There had also been support to other government departments. The country had witnessed an increase in immigration. Thereafter, there was a decision from Cabinet that the SANDF must return back to the borders. However, the capabilities that were responsible for border safeguarding had been lost. Currently, the SANDF was not where it wanted to be with regard to border safeguarding and it needed to resurrect some of the capabilities it had, so as to close the borders so that they were not porous. It needed tactical intelligence, its ears and eyes, and this was the area that would need to be resurrected given the decision to bring the Defence Force back to the borders. There were also other dynamics at sea. Recently, there had been a number of media releases and statements about activities at sea. Our economy was heavily dependent on the sea and there had been increased piracy. There was a trilateral agreement between South Africa, Tanzania and Mozambique. Our navy was operating in the Mozambique channel. One of the things that the Department was delighted to indicate was that Cabinet had made a decision in February 2013 that the SANDF should be responsible for the National Youth Service, in terms of training. The result of all of this was a nominal increase of the budget. The Defence Force’s budget had been cut by 50% in the past five years, in real terms. The government’s spending priorities, at the time of the 1998 Review, was the Reconstruction and Development Programme (RDP), and there has been a reduction in the Defence Force. These issues, including the developments with regard to threat patterns, brought about the need to update the defence structure. There had been ever increasing international and domestic defence commitments and the funding model had not been adjusted over time. This resulted in a decline in military capabilities. The Defence Review for 2014 was what the Defence Force had been waiting for in anticipation to align itself and restructure itself as required. This Defence Review proposed Goals 1 to 4, which are as follows: to defend and protect South Africa, to safeguard South Africa, to promote peace and security, and developmental and other ordered tasks. The trajectory was seen in terms of five milestones, namely: Arrest the decline, Rebalance, Capacitating, Respond to challenges and Limited war. The Department needed to look at long-term capability development plans. These plans transcended the various milestones and the Department needed to do checks and balances time and again. In terms of the current status of the budget allocation, before the 2015/16 Medium Term Expenditure Framework, the SANDF has had – from 2008 to 2009 – in the region of about R9 billion budget cuts. Certain areas had been affected by these cuts. Both Defence Reviews propose a budget allocation of funds into the environments of human resources, operating and capital at a 40/30/30 ratio. This ratio would assist the Defence Force to modernise, but the human resource budget had gone past the 50% mark of the budget allocation of the SANDF. The operating allocation had also gone past the 30% mark. The modernisation of weapons systems was very low, in the region of 11%. Without going much into the details, this was problematic. The impact was not only in the Defence Force, it was also in the industry. In the process, skills had been lost. Maj Gen Ramatswana indicated that in the area of logistics, in terms of maintenance and repair of equipment and support, both of the reviews had emphasised a need to ensure resuscitation of lines of support. With regard to training, the SANDF had implemented various methods to make sure that it adhered to cost savings. But what was important about training was to give soldiers sufficient training. At the current rate, the Department was making savings, but the 2014 Review highlighted the fundamental importance of training. What the Department needed was young, medically fit and well trained soldiers to be able to deal with the issues that confront them. The medical stocks were kept at 50% and there was a lot of spending pressure in that area. What the Defence Force did not want to lose its ability to be a deterrent force. The decline that manifested in the military also moved over in the area of the defence industry. With constant budget cuts, there were problems with contracts. The Defence Review of 2014 had acknowledged this problem and included a defence industry chapter. On human resource challenges, the Defence Force needed boots on the ground and needed healthy, young, fit soldiers. It needed to be competitive with the private sector. The other matter was long deployment periods. The issue of unionisation had not been addressed anywhere. The Department had started to see parallel command and control structures. However, all soldiers' loyalty had to be to their commanders. In terms of facilities, there were dilapidated facilities which were an occupational health and safety risk. On transformation, Maj Gen Ramatswana said that this referred not only to transformation as per gender, race and disability representation; but transformation throughout the entire spectrum of the organisation that was being attempted. The Defence Review of 2014 said that the Department’s capabilities had to be commensurate with South Africa’s international status. The Department had a transformation strategy that emphasised human capital, gender and disability mainstreaming, youth rejuvenation and leadership development, accountability, monitoring of progress and evaluation of impact. This transformation was a command function in the Department. In 1994, the Department had integrated seven forces into itself, that was the beginning of transformation. Women were to follow the same career paths as men, and the Department identified members to be trained in equal opportunity and affirmative action mechanisms, and the Department had trained members in cultural diversity, to sensitise members. The review of 1998 stated that the DOD was committed to a non-racist, non-sexist organisation. The language transformation policy was problematic in the beginning, but it had been smoothed out. The military ombud is also part of it. In 1994, there had been almost no female combatants, but now there were 19.5% female officers in the sharp end. There are also 26% females in other ranks, occupying critical musterings. Today, there were five female Major Generals and 32 Brigadier Generals. Mr Motimele interrupted and said that the core message had been received in terms of the Defence Review. Lt Gen Masondo asked Maj Gen Ramantswana, before finishing, to touch on the issue of military justice. Maj Gen Ramantswana said that the Military Discipline Supplementary Measures Act 19 of 1999 currently dis-empowered commanders to enforce discipline if the accused pleads not guilty to an offence, in which case the matter must be dealt with in the military courts. As a solution, the Department had drafted the Military Discipline Bill, which the Department had hoped would be finalised before the end of the current financial year. The Bill was currently at the Office of the State Law Advisor. With regard to morale, a recent survey indicated that it was currently neutral. The Chairperson, Mr M Motimele (ANC), asked for clarity on why intelligence would not be discussed, for the record. He asked if or not this was because the Defence Review was silent on the topic of intelligence. General Ramantswana said that because of the remarks of the acting Chief about intelligence at the start of the meeting, he had shown it as one of their programmes without giving details. The Defence Review was not, however, silent about intelligence. Mr M Booi (ANC) said that the presentation had been quite comprehensive, but that there were some practicalities. With regard to budgeting, he asked what type of model the Department was using. He asked if the Department had any model to work into the future, rather than being hampered by policies that were just focused on immediate needs. Treasury had a model - does the Department have that type of model? Mr D Maynier (DA) said that he was delighted that, for the first time in five years, the four service chiefs had appeared together in front of the Committee and said that he hoped that his would be the first of many interactions. The expectation of the Committee was to be briefed about the challenges facing the four services. The fact of the matter was that the briefing did not go much beyond what was already in the Defence Review. He said, with regard to the possibility of having a closed meeting, that at some point, the Committee was going to have to confront the question of when it should convene closed meetings. The reality was that even after 20 years of democracy, there was uncertainty about how to interpret the provision in the Constitution that said that Committees should remain open unless it was reasonable and justifiable not to do so in an open and democratic society. The Department would have to provide good cause and authority in law not to disclose the information, and the Committee would have to evaluate that request and decide how to proceed. He proposed that the Committee, in order to assist it going forward, should commission a legal opinion from Parliament legal advisors on what the test would be, what authority in law the Defence Force could put forward and what procedure the Committee should follow. Mr Booi said that the responsibility of declaring a meeting closed or not closed is on the Committee, not an expectation on the Defence Force. Mr Maynier said that the chief may want to reconsider his position with regard to intelligence, firstly because it is traversed in the review and secondly, because there may be aspects of intelligence that could be discussed in an open forum. There was a need to focus on intelligence, because ground zero of the disaster in the Central African Republic was of defence intelligence. He asked if the Defence Force command shared the review's assessment that the Defence Force was in a critical state of decline, and whether there were elements, in military command's view, that had not been covered by the review. One of those issues might be unionisation. Military command had certain responsibilities, and some those were to produce a military strategy, which includes a Force Design, force structure, establishment table, capability strategy and acquisition plan. What progress has been made in preparing those documents? Those were in fact critical to the Defence Review. He also wanted each service chief to get an opportunity to express, in his own words, the key challenges facing the service which he represents. The co-chairperson, Mr E Mlambo (ANC) said that the special forces was not spoken of and that the review had touched on that important component of the SANDF. Mr D Gamede (ANC) wanted to place on the record, with regard to the skipping over of intelligence issues, that these might have to do with operational issues which the Joint Standing Committee on Intelligence may want to discuss. Ms L Dlamini (ANC) wanted to welcome the presentation and agreed that it helped the Committee. With regard to gender equity, when she looked at the delegation, she wondered where the women were. At this level, women were absent, and she would be interested to know how may women were in senior management. With regard to budget cuts, what were the implications, in terms of the risk that this posed to the country? What did the cuts mean to defence? On the 22 000 Regular Force members that had been recommended, did the deployments come from the 22 000, and also the reassignment of border management – was it from the 22 000? She did not hear them talking about the new proposals in terms of numbers. Finally, with regard to the closure of units, she asked about the implications of that. Mr Booi asked what the National Development Plan said with regard to the Defence Review. It was important to plan against other priorities, and he asked if the National Development Plan accommodated the Defence Review. Mr S Esau (DA) asked what measures had been implemented to cut costs. Was there any wasteful and fruitless expenditure; was there any irregular expenditure? There was an oversupply of seniors in the military. There had been short-term gains with regard to expenditure. He asked how to address the 50% medical supply and if the Department could keep it at this level, considering that a lot of military veterans were signed up to that and our soldiers needed to be medically fit. Could the medical supply be compromised? He asked what was being done to address the waste in the system, all the travel and entertainment expenses, and if the Committee needed such huge delegations to come to Parliament when only certain key people needed to address the Committee. Have these items been considered and what measures have been looked at? At the end of the day, R720 million had to be cut in order to meet Treasury's requirements. Lt Gen Masondo started with the questions of Mr M Booi on the budget and the Defence Review. The Defence Review made a point of allocating a certain percentage of the budget to the Defence Force, and the norm internationally was that this should be at least 2% of GDP. This was crucial because it was not just a budget in terms of numbers, but was influenced by the performance of our economy and would show consistency in terms of the funding of the Defence Force. Lt Gen Masondo said that, sometime in 2012, he had been in Singapore accompanying the Deputy Minster of Defence and had learned that in Singapore, the budget allocation for defence is 6% irrespective of the performance of the economy, because in that country, great importance was attached to its defence. They felt that they could not prosper without being founded on a Defence Force that could ensure the stability of the country. The military is conscious that the national budget was a political decision about allocating scarce resources according to the needs of the country, but it was an expression of the level of importance that was attached to the different components. Lt Gen Masondo said that Mr Maynier had asked if the military command shared the view that the Defence Force was in decline, and the picture that had been painted in the presentation was one in which, when we became independent as a country, government had attached importance to socio-economic development because, at the time, there was no external threat and it was not envisaged that the military could be involved in external operations. Shortly, however, after the 1998 Review, there were a number of tasks that the Defence Force was made to take over. The international environment changed and the role that was played by our country changed. Our country had committed itself to international agreements that had to be honoured. The military had tried to make things work, but it had been given added responsibilities that were not accompanied by additional funding. And thus, something was declining. The Defence Force was compromising crucial elements of the training itself. The military must, for instance, have equipment that is dedicated to training and equipment that is used to deploy, but currently it was utilising the same equipment for both training and deployment, and the more the equipment aged, the more it posed a threat to the soldiers. Lt Gen Masondo therefore agreed that there had been a decline, in terms of the ability of the Defence Force to do its work optimally. Lt Gen Masondo replied to the question about the military command's responsibility with regard to capability development and Force Design. The Defence Review had said that, as part of the implementation of the review, it was the responsibility of command to update military strategy and align it with new policy and to come up with a Force Design and structures which were aligned with it. In 1999 the military underwent a major structural transformation that was informed by the attempt to reduce costs. The product of that was to reduce the sharp end. However, the minute that the military went on operations, it became clear that that kind of structure did not work because the support given to deployed forces was constrained. Obviously, this had to be corrected and would be corrected through the command applying itself to address the current environment. It looked at Force Design; looking at the development of capabilities to face the threats on the continent. Lt Gen Masondo said Mr Maynier had requested each of the service chiefs to touch on their key challenges, and he would leave that to the last. On special forces, raised by Mr Mlambo, he said that the Defence Review covered that, but the presentation itself was trying to focus on the aspects required by the Committee. It was not because the military did not attach any importance to that. Ms Dlamini had expressed unhappiness about the progress made by the Defence Force on gender equity and touched on the very composition of this delegation. In the presentation, the Department had tried to show that, in terms of addressing gender equity, the military was starting with a low base. Whereas, in the sharp end, there had not been any women at all and women were in the lower ranks, it had to be noted that the military was structured in a pyramid format. The Department could not make someone jump ranks and put them in a position where they could not do the job, leading to the demoralisation of the soldiers at large. The composition of the delegation was chosen so as to respond to the questions that the Department would receive from the Committee, not in terms of tokenism. Ms Dlamini objected, saying that she had been misrepresented. In terms of ranks, the composition of the delegation showed that there were not enough women in the higher ranks, she never spoke of tokenism. Lt Gen Masondo apologised. He continued by explaining that, in terms of the question of whether the budget was compromising its capabilities with respect to providing security, he wanted to use an example. Ater the decision had been taken that the military had to go back to the borders, military assessment was made and the Department recognised that in order to be effective, it needed 22 companies. However, it was not able to provide those because it was not able to bring forth the numbers of members required. In a way, this compromised the security of our country, because the country was faced with huge numbers of illegal immigrants. With regard to the 22 000, this was a figure that the review of 1998 wanted the Department to work towards, but it was not able to reduce the numbers to that. The exit mechanism it had at the time did not fulfil the role for which it had been designed, namely that of right-sizing the Defence Force. The Department could not force people to move, and the force had grown as a result of the integration of the seven forces. In reality, the Department did not get to 22 000. The numbers that it was deploying, both internally and externally, went far beyond the 22 000. Lt Gen Masondo replied about the closure of units, this affected particularly “the eyes and ears”. This referred to the commando units that were there in the past, mainly along the borders and providing vital intelligence to the security forces. For the military to be effective in border safeguarding, operations had to be intelligence-driven. If the Department did not have intelligence of the movement of people into the country, it may not be able to respond. Mr Booi asked if the NDP had taken the Defence Review and its requirements into account, and personally, Lt Gen Masondo said that he did not think so, because in the NDP, there had not been much reference to the Defence Force, it addressed other challenges. The Department felt that it needed to have a session with the Treasury. Mr Esau asked what measures had been taken to cut costs and mentioned an oversupply of generals. Austerity measures had been directed by Treasury. The Department had looked, internally, at ways to ensure savings. For example, in the area of rations – i.e. food for soldiers – when the Department had a national contract, that provided stability in prices. But when there were no contracts, the unions then invited bids and it was found that the service providers inflated prices and this led to unnecessary costs, which could have been saved. The Department felt that it could save a lot as a Department. On the oversupply of seniors, he explained that in the past, brigadiers were not listed as generals, but now they were, and this created the impression that the number of generals had grown and the structure was bloated at the top. However, this was not so, especially in the staff lines. On medical support, Lt Gen Masondo noted that it was critical for the military to have adequate medical support for training and operations. When the Department went on operations, it was found that due to medical support challenges, the Department ran the risk that soldiers may be unnecessarily be exposed to injuries. The Department was conscious of the fact that the organisation consumed resources and did not contribute to the economy. Lt Gen Masondo said that he must concede that there were issues of irregular and fruitless expenditures, but the Department tried to attend to that and deal with the people responsible for that. The Chairperson said that it was not necessary to hear from the heads of each of the services. However, he mentioned that in order to get sympathy from the Committee with regard to the budget, the Department needed to say that it needs a budget that enabled it to carry out its constitutional mandate, and that the Committee would oversee that. In terms of the NDP, the Committee would oversee the Department on its contribution to the development of the people of South Africa. Mr Maynier said that the crisp question was whether or not the military command had the military strategy, in the form of the five component documents, including the Force Design documents, ready to go - yes or no? Lt Gen Masondo replied that, currently, no, we have the Defence Review. Mr Mlambo made reference to the Military Discipline Bill that was still with the state law advisors and asked Lt Gen Masondo to give the members an idea of how long it was going to be there. Lt Gen Masondo said that it was a source of huge frustration to military command that that Bill had been with the state law advisors for over a year now. Mr Mlambo said that the Committee would assist by putting some pressure on that. He mentioned that there had been reports of soldiers seen in bottle stores in full uniform. This was embarrassing and showed a decline in discipline in the SANDF which could not be allowed. He conveyed his gratitude for the presentation.